Cracked wheat or broken wheat used to be a staple found in many households in Kerala; many (like my Grandma) used to consider it as a healthy alternative to rice and prefer simple broken wheat porridge for dinner. We as kids used to hate it, but occasionally she also used to make a dessert (payasam) using the wheat and that was just wonderful. The whole process of making broken wheat was quite manual by using ural (grinding stone) and ulakka (long wooden stick used for pounding). As kids, it was fascinating for us to sit and listen to the stories/gossips which happen during these household chores. 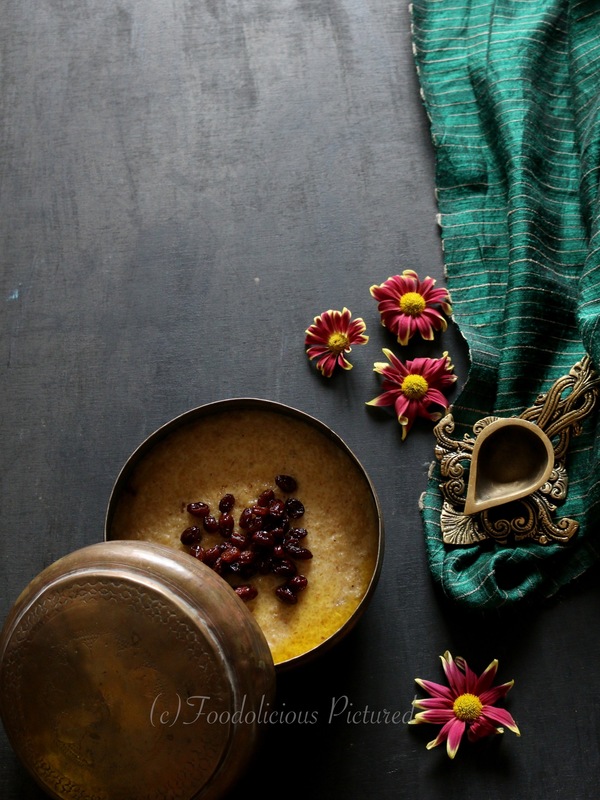 These traditions almost a thing of the past now, but the taste of the wheat payasam still lingers. It’s the same old family recipe I am sharing here, you can add fried coconut bits if you want that added crunch (along with cashews and raisins). In pressure cooker pan, heat the ghee and fry the cashews and raisins till golden. Remove and set aside. Into the same pan, add the broken wheat and fry for about a minute. Add about 3 cups of water and pressure the wheat till done. 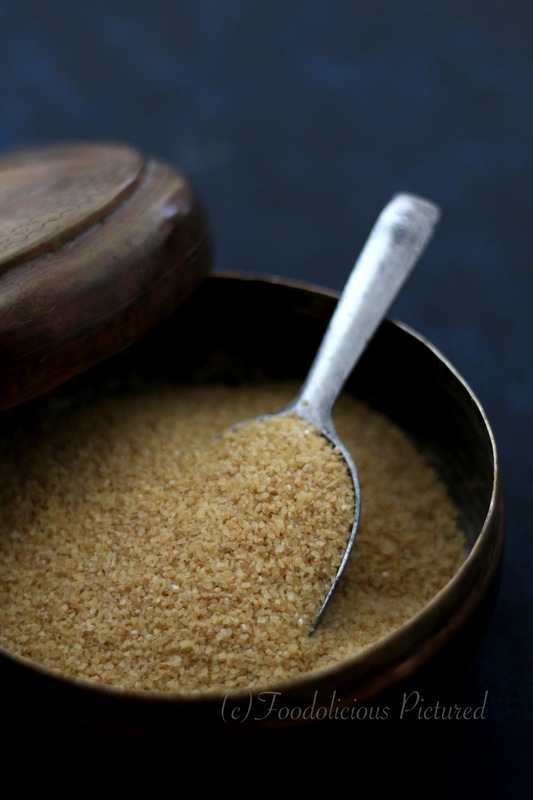 In pan melt the palm sugar/jaggery with 1/4 tablespoon water and aside. Now heat a heavy bottom pan/urli and add the ghee. Add the cooked wheat, melted jaggery and mix well. Be careful as the ghee will start to splatter so take care. Stir till everything is well combined. Now add the thin coconut milk and bring to a rolling boil. Cook till the payasam thickens. Stir frequently. Add the Thick coconut milk and bring to a gently simmer. Turn off the heat add the fried cashews, raisins and cardamom powder and mix well. Serve hot. 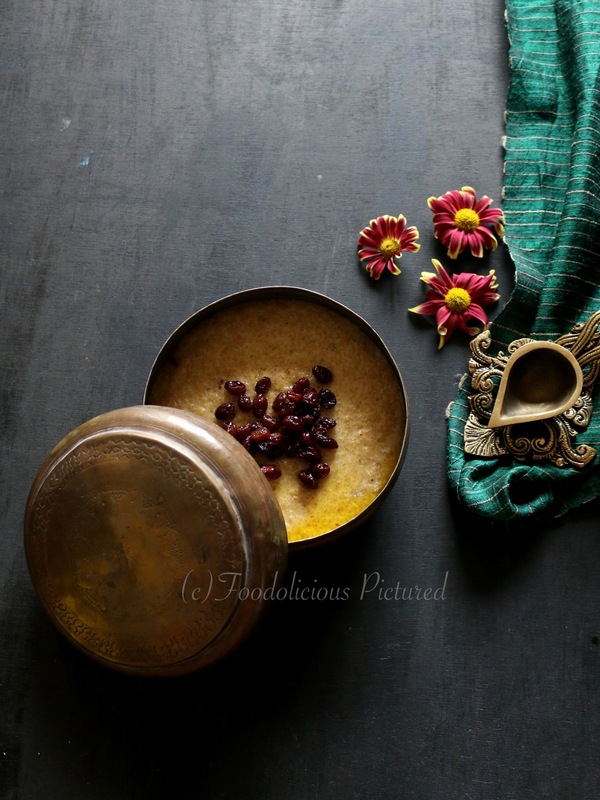 Delicious payasam, beautifully captured ! 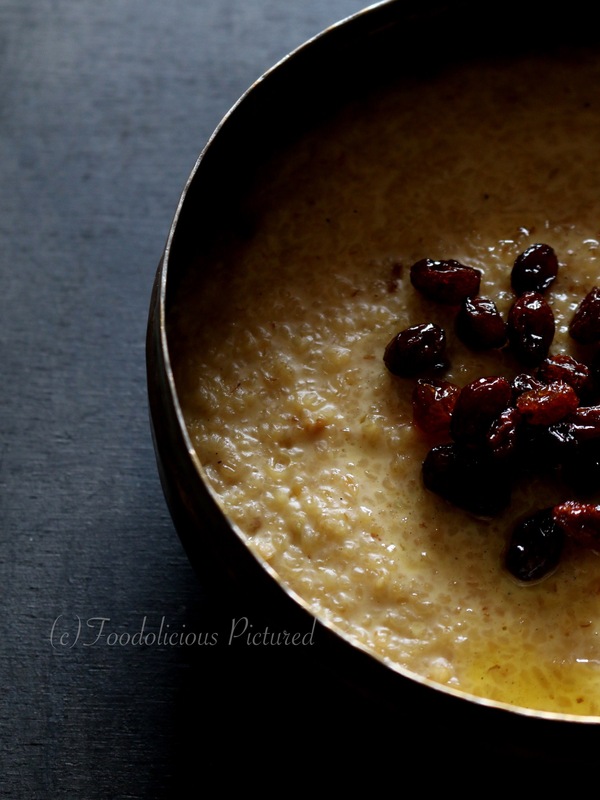 I have never tried broken wheat for making payasam, would love to try it ! The conversations n laughter that happens during the rhythmic pounding in the bg soo like the art movies in real life allee. Gothambu payasam looks yumm Rekha.